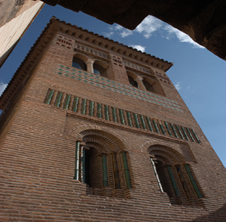 Built in the XIII century, with an original height of 25 meters, it is the oldest of Teruel’s Mudéjar towers. 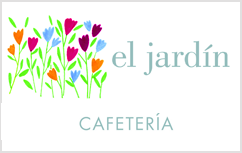 Typologically, it is built as a tower-gate. 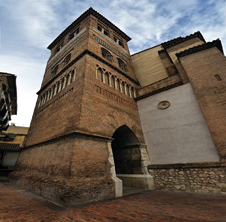 The ground floor of the tower opens into a passage that allowed for the movement of priests and potential guards throughout the area surrounding the tower, and illustrates its position as a central part of the city’s urban network. The tower has a very Christian structure, in spite of being a Mudéjar tower, characterized by a single rectangular facade and superimposed detailing. 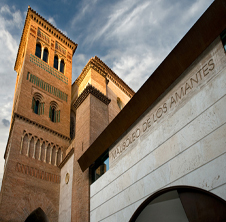 The tower’s elegant exterior decoration is typical of Mudéjar constructions, and features brick and colored tile. 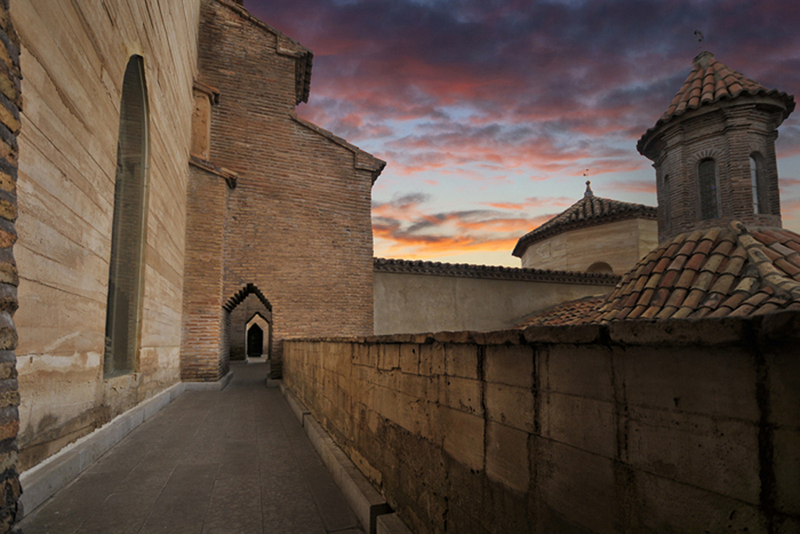 Any visitors who wish may climb to the top of the bell tower. One spiral staircase, and seventy-four stairs, later they are face to face with the bells. 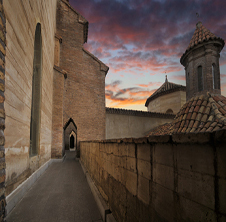 From the tower the walkway is accessible. 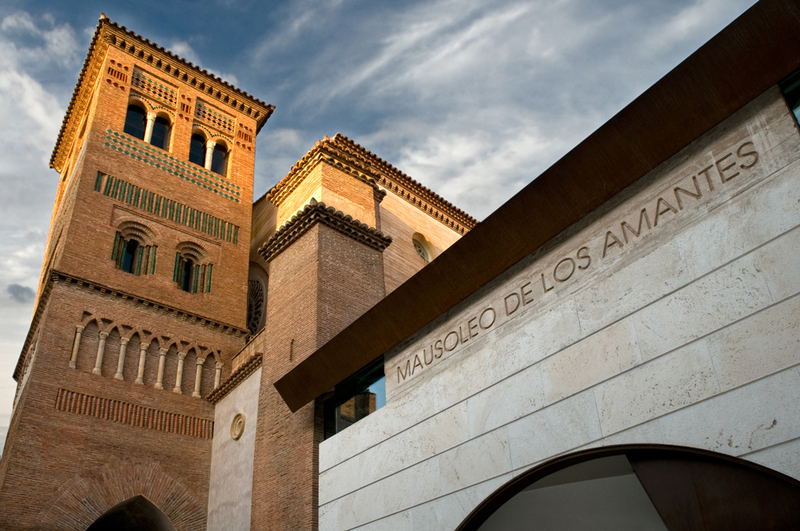 The walkway is a structural element typical of Mudéjar architecture and circles the exterior of the church, allowing visitors to appreciate the details on the tower, and on the stained glass that can also be seen within the nave.